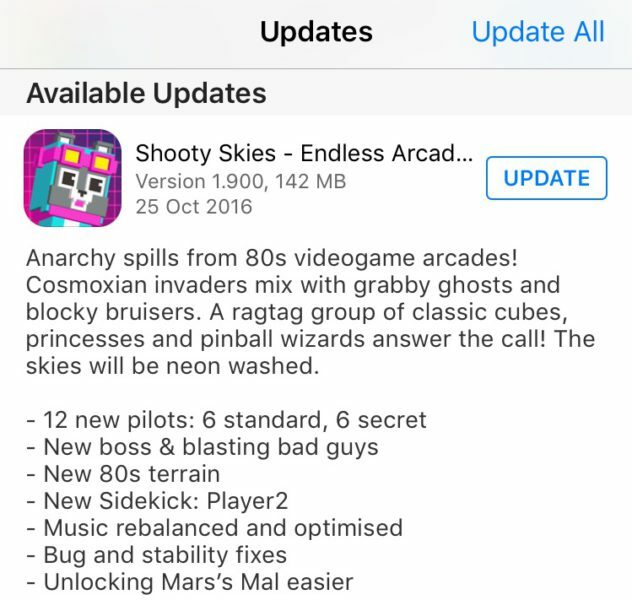 The new Shooty Skies Update with an eighties videogames arcade theme has just been released. 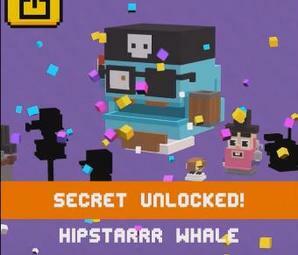 It added 12 new pilots, 6 of them are new Shooty Skies secret characters. If you have any tips & tricks how to unlock Shooty Skies secret characters, please write us comments in our comments section below! We are still collecting. 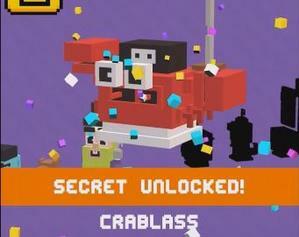 Thanks to Da Mobile Mob for his videos and Jerry for submitting the first secret character unlock conditions. Play with the Princess Power Fists and a collect the silver and bronze trophies inside the wooden boxes until you find a golden one. When you die you win the secret character Race Position. Play with Jumpy and collect round about 20 items from the wooden crates to get the Neon Rider secret character. Play with tht secret character Neon Rider and defeat the Pinball machine boss to get the Pinball Wizard secret character. Play with any of the standart characters and shoot down the bricks of breakout to unlock the secret charatcer Colonel Cube from the game Breakout. Play with the character Ode to Joystick and defeat the Pinball machine boss to get the Pinball Wizard secret character.